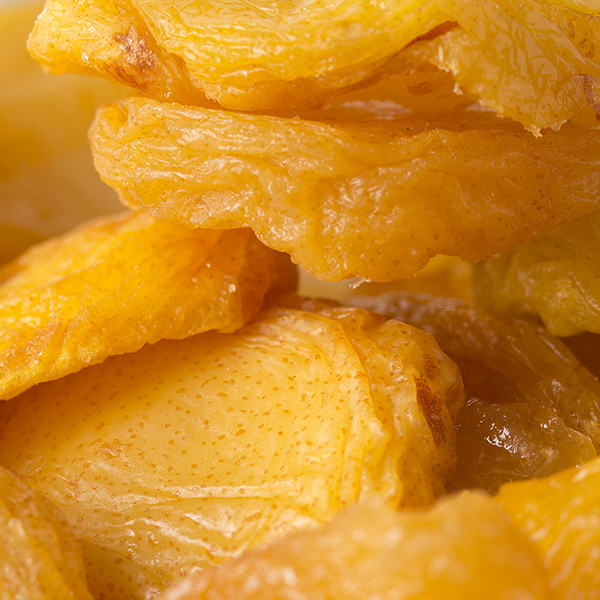 Dried pears are perfectly sweet and perfectly moist; they are first halved and then dried. 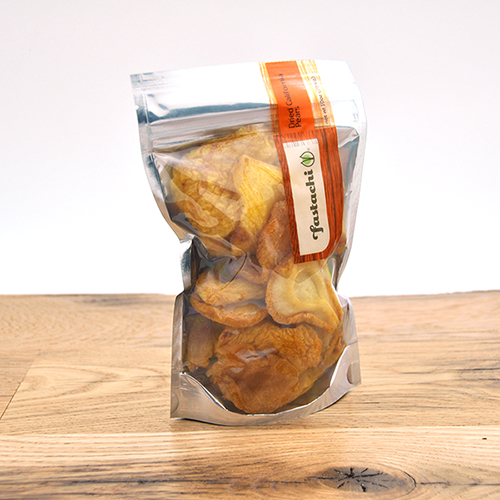 Dried pears also make for a nice alternative to the more common types of dried fruits as a snack or in baking. Pear Fact: Pears, one of the world's oldest fruits, are an excellent source of natural dietary fiber. Please note that dried pears contain sulphur dioxide for color retention and may contain occasional pit fragments. NUTRITION FACTS: Serv. Size: about 1/4 cup (40g). Amount Per Serving: Calories 105, Fat Cal. 2, Total Fat 0g (0% DV), Sat. Fat 0g (0% DV), Trans Fat 0g, Cholest. 0mg (0% DV), Sodium 2mg (0% DV), Total Carb. 27g (9% DV), Fiber 3g (12% DV), Sugars 25g, Protein 0g, Calcium (1% DV), Iron (5% DV), Vitamin C (5% DV). Not a significant source of Cholest. and Vitamin A. Percent Daily Values (DV) are based on a 2,000 calorie diet. INGREDIENTS: DRIED CALIFORNIA PEARS (PEARS, SULFUR DIOXIDE [TO PROTECT COLOR]).